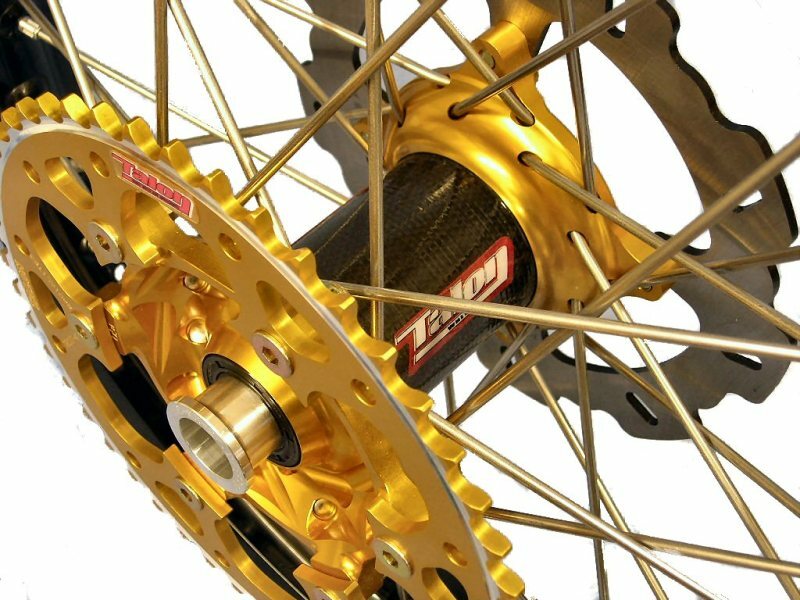 ​ Especially for all you weight freaks out there, Talon has developed an ultra light hub with carbon. 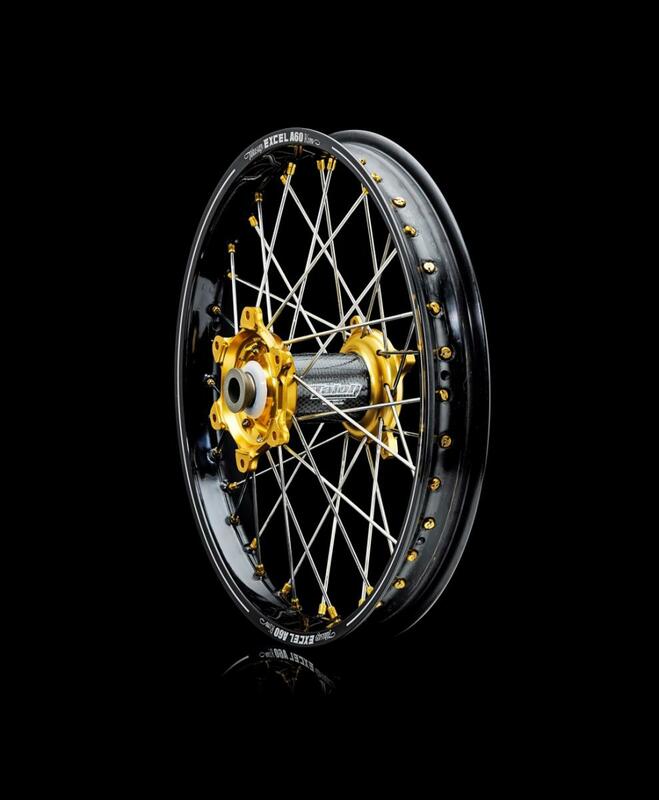 Available in the same colours as the standard hubs (silver, gold, black, red, blue, titanium, magnesium…). 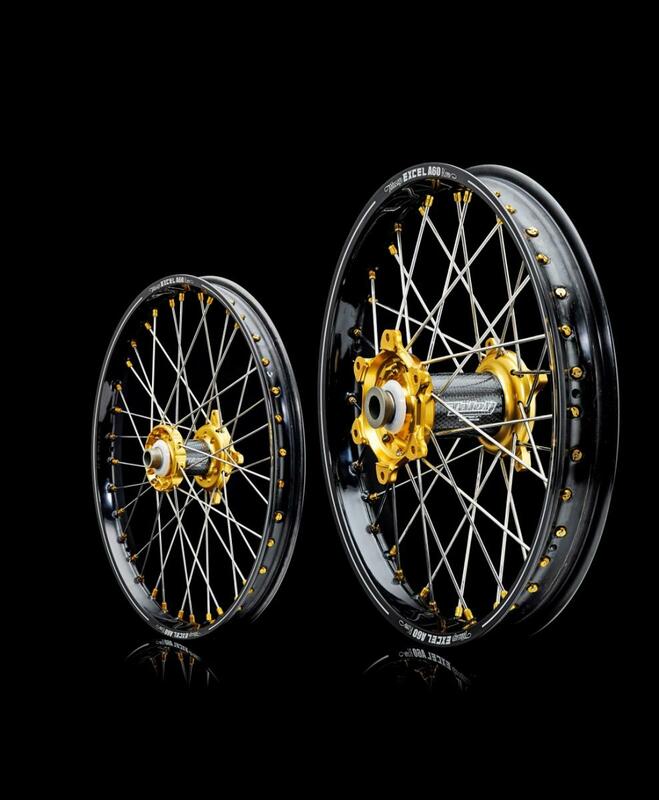 A complete set (front and rear) saves you about 950 grams! 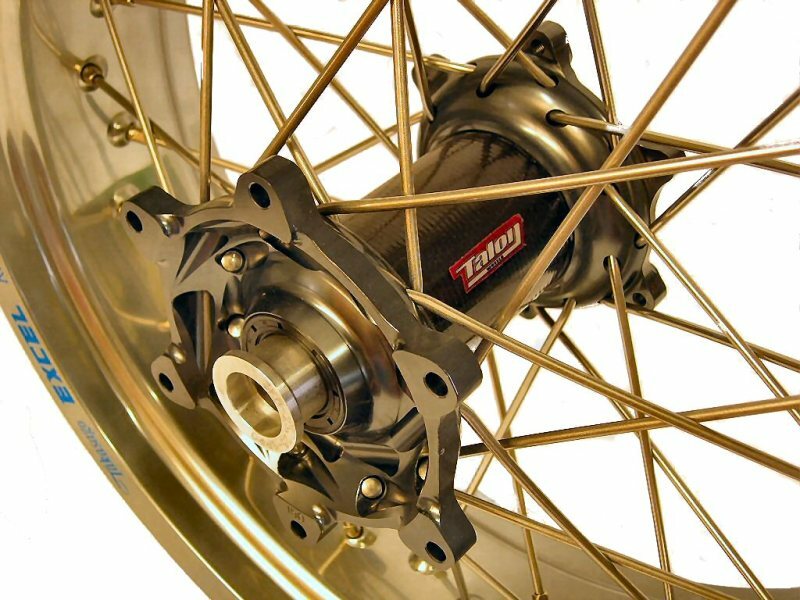 The center of the hub is made of a carbon tube which is held by the two flanges. The flanges are glued and pressed on the carbon part. 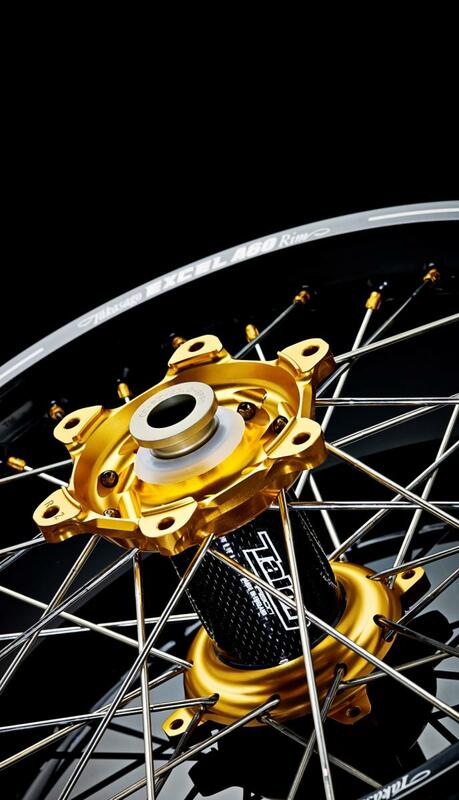 All carbon hubs are heat treated and tested for strength.